Pinel's Biopsychology introduces the fundamentals of modern biopsychology. The fourth edition has been updated to keep abreast of developments in this field. 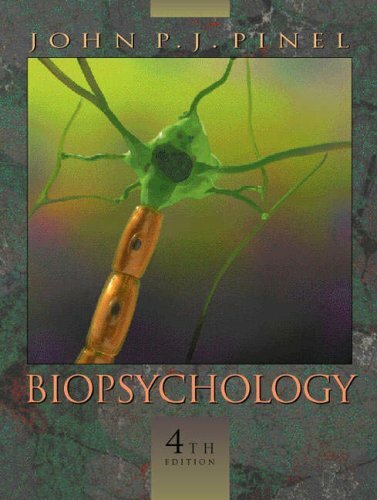 Written in a friendly and engaging manner, Pinel's Biopsychology introduces the fundamentals of modern biopsychology. The fourth edition has been thoroughly updated to keep Biopsychology abreast of the many recent developments in this rapidly changing field. Despite the significant infusion of new material, Pinel's text continues the tradition that has made it such a success: clear, engaging prose; an unwavering emphasis on behavior; an attractive, superbly designed and integrated illustration package; and insight-provoking accounts of modern biopsychological research.